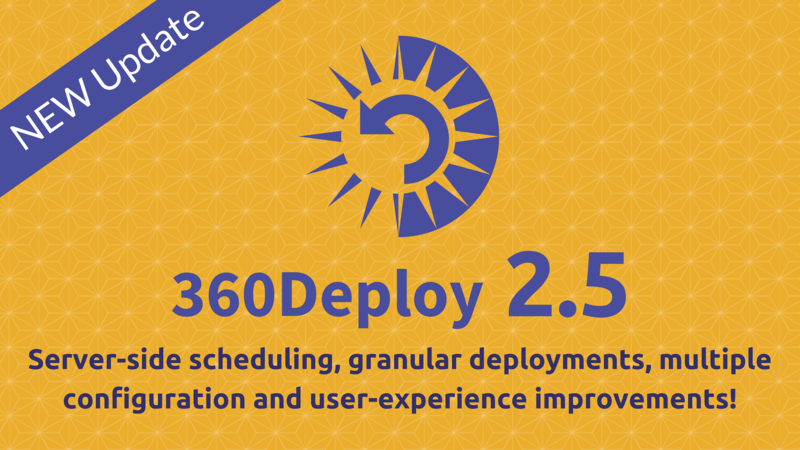 360Works has just released 360Deploy 2.5; it ships with server-side scheduling, granular deployments, and several important improvements to the deployment process. 360Deploy is a FileMaker deployment tool, designed to make FileMaker data migration easier. It utilizes the FileMaker Data Migration Tool, but it is so much more than a "wrapper". It completely automates the tedious data migration tasks, while pushing changes from the development environment to the production server. Imports the data from the production database and into the clone to absorb the new architecture *For large databases, it supports a scheduling feature to run imports overnight. What's New in 360Deploy 2.5? 360Deploy 2.5 introduces compatibility with Server Side Scheduled Scripts. You can now schedule deployments from the admin console. This is very useful if you need the deployment to run at a set down time where users are not accessing the database, such as overnight hours. Granular deployments are another big feature in 360Deploy 2.5; it allows you to turn files on and off for deployment without needing to re-do all of the configuration steps. You can simply select the files you do or do not want deployed at a specified time without any hassle. Please visit our changelog for a complete list of changes. 360Deploy 2.5 is a free upgrade for 360Deploy 2 license holders, which is a huge benefit of maintaining the latest version of 360Works software. Located in metro Atlanta, 360Works, a FileMaker Platinum Business Alliance member, has been providing development solutions for 22 years. The company is a leading developer of both shrink-wrapped and custom database solutions for clients such as NASA, Pixar, US Marines, Make-A-Wish foundation and others. The company is credited for its forward-thinking solutions, dedication and unparalleled client service.